BP has announced its first direct investment in China. 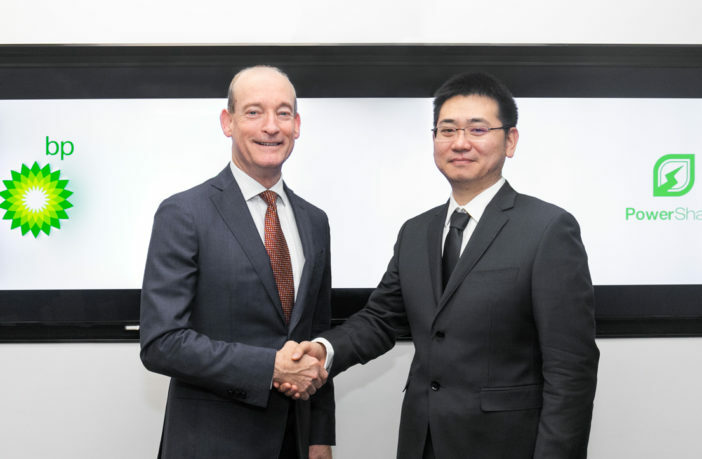 BP Ventures, a division of British Petroleum, has invested in PowerShare, a leading integrated hardware and software solutions provider for EV charging in China. PowerShare provides an online platform that connects EV drivers, charge point operators and power suppliers, streamlining the charging experience from locating a charge point through to paying for the power supply. PowerShare’s cloud-based system also allows power suppliers to optimize their operations by monitoring and balancing the power demand from vehicles with the supply capacity of the grid. “China is the world’s largest EV market and a key market for BP as we seek to expand our advanced mobility offer,” said Lamar McKay, BP deputy chief executive. “As a technology-based startup with focus on charging of electric vehicles, PowerShare has accumulated rich experiences in charging solutions and technologies through in-depth cooperation with domestic and foreign automobile manufacturers, charging operators and charging pile manufacturers in the past four years,” explained Ethan Zhu, founder and CEO of PowerShare.